This is a film about Swami Yogananda (later known as Paramahamsa Yogananda), author of the counter-cultural classic “Autobiography of a Yogi” and founder of the Self-Realization Fellowship (SRF). In 1920, Yogananda was one of the first Hindu teachers to arrive in the United States, first in Boston and later in California. “Awake” is a documentary produced by the SRF and is therefore promotion material for Yogananda and his message. Curiously, Swedish public service television (SVT) showed this partisan documentary on the night between Christmas Eve and Christmas Day! In fact, I just finished watching it. Despite being SRF agit-prop, I found “Awake” interesting. It doesn't shy away from the mystical-religous side of Yogananda's life (alien to many modern Westerners) with classical religious visions, tutelage under a guru, and karmic connections. Yogananda's guru Swami Mukteshwar claimed to be the earthly envoy of Mahavatar Babaji, an immortal being taking the form of a man and residing somewhere in the Himalayas. 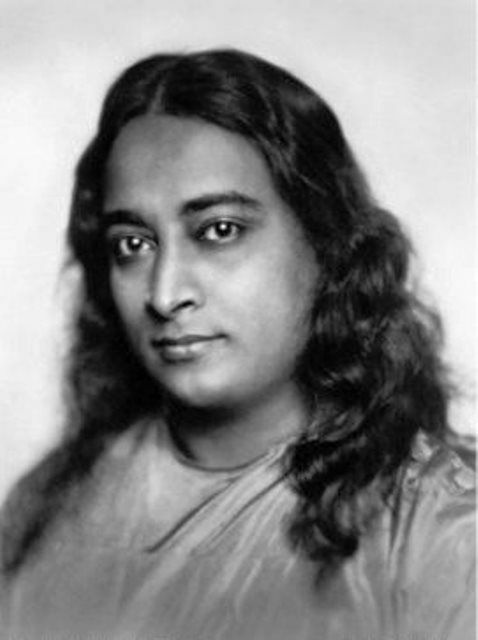 The documentary also mentions Yogananda's devotion to Jesus, which gives his group a very old fashioned feel. At the same time, “Awake” tries to interpret the yogic message in the light of modern science, especially quantum physics. A large portion of “Awake” deals with Yogananda's activities (and contretemps) in the United States. There was a countercultural scene in LA already in the 1920's, into which the exotic guru fitted right in. He got in trouble when visiting the racially segregated South, including Washington DC (although President Coolidge agreed to meet him). The FBI kept a file on him, suspecting him of contacts with Indian nationalists (they were right). The scandals led to a break in the SRF, with one of Yogananda's closest aides leaving. During a later visit to India, Yogananda met Mahatma Gandhi himself and taught him the techniques of kriya yoga. For some reason, the documentary doesn't mention the supposed resurrection of Yukteshwar, although it is implied in one scene. Persons interviewed include George Harrison, Ravi Shankar, Krishna Das, Deepak Chopra and long-time SRF chairperson Daya Mata. The documentary claims that Steve Jobs only had one book on his I-pod, and yes, it was “Autobiography of a Yogi”. One problem with this production is that it isn't always clear when the real Yogananda is shown, and when actors are reenacting episodes from his life. But perhaps that doesn't matter if you believe the world is an illusion! The exact meaning of kriya yoga isn't explained either, but the few remarks suggests that it's a form of kundalini awakening (and hence could be dangerous if made improperly). In the end, I give “Awake” four stars, although the slightly dragging character of some segments would perhaps make three-and-a-half a better rating.